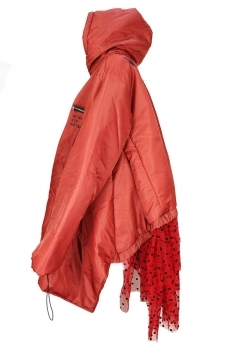 Barbara Bologna Oversized 'Not Safe' FL Padded, hooded zip jacket in light burnt orange colour. Double zip down front. Zip pocket on left chest with 'Not Safe in the Fairy tale' test in black. 2 side zip pockets. Drawstring cuffs with metal locks. On the rear there is a wonderful face with horns, awesome!. At the rear the padded section rises and under there are three layers of red with black polka-dots lace. Lined in black. 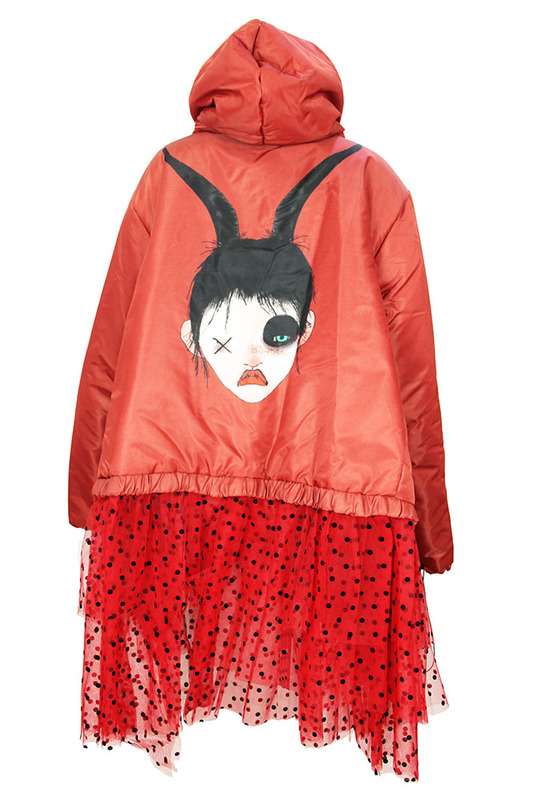 This is a very special jacket, very cool and totally stunning!